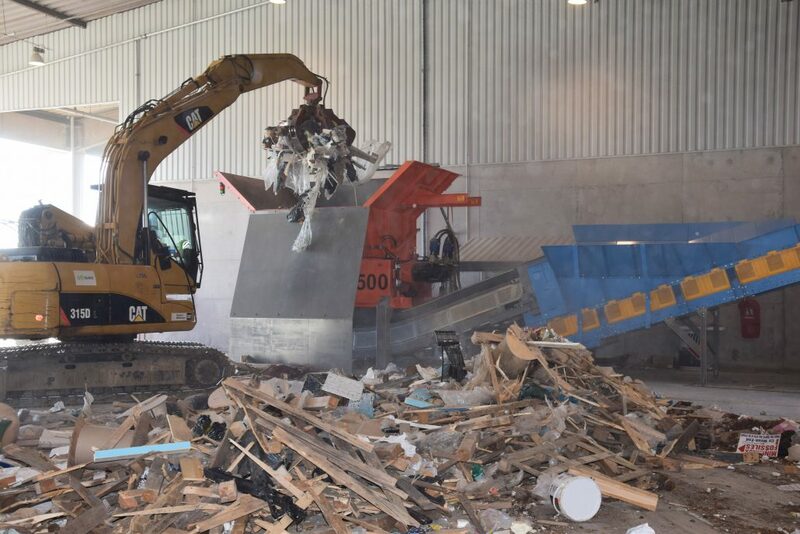 A new sorting line for Commercial and Industrial waste, Furniture waste and bulky household waste was started up on Monday, 13th November. The line includes an RDF (Refuse Derived Fuel) preparation module, and can treat up to 60 000 tonnes yearly. Designed and produced by Ar-Val for Suez at the Eco-pôle de Lambert for Narbonne Metropolitan Area, the new line is equipped with the latest generation of technology, including 4 Optical sorters. Designed to valorize waste by recycling or energy production, this line extracts and reuses the maximum of incoming waste. As with all of Ar-Val’s sorting plants, this line includes measures to improve safety for sorting and maintenance operators, and to facilitate maintenance.